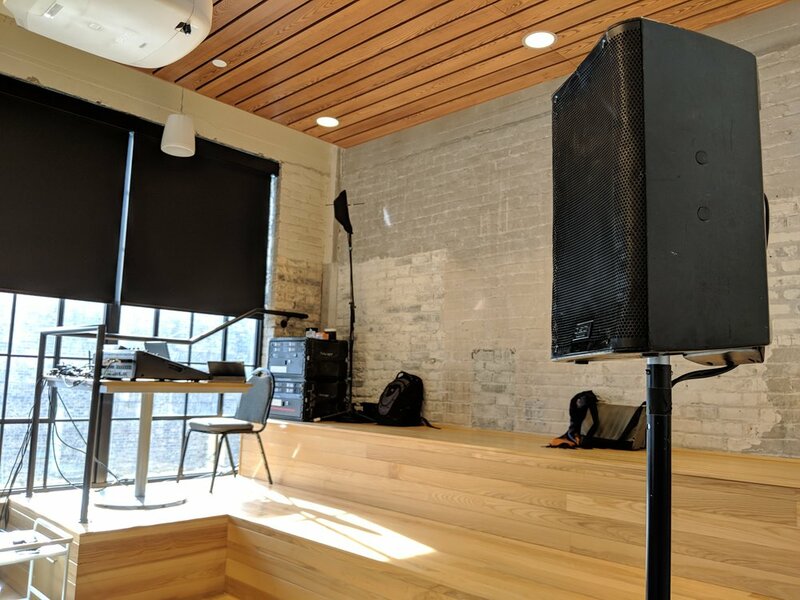 AV for You provided audio rental equipment for an event held by Gensler (a local design firm) at the offices of GdB, a marketing firm located in the North Loop of Minneapolis. For audio rental equipment we used two of our QSC K10 Speakers on stands for each side of the room. We also used our Behringer X32 Compact Digital Mixer and two Shure QLXD4 Wireless Microphone Racks to provide clean and consistent audio during a panel discussion at the event. We also used our Countryman E6 Earset Microphones to ensure every panelist was heard clearly without having to worry about feedback in the intimate space. We also had staff on onsite to provide audio technical support during the event.